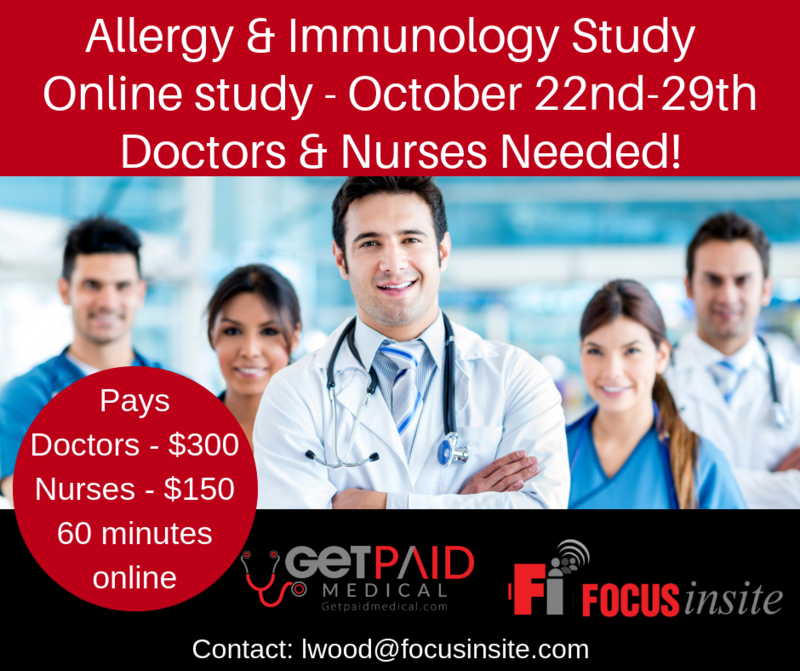 For this one we are looking for doctors who work in Immunology or Allergy. Specifically we need prescribers of subcutaneous immune globin, who could be MD’s, DO’s, Nurse Practitioners, or Physician Assistants. For the Nurses, this pays $150.00.